It's been a while since I created and nurtured my other project: Free Games Utopia. What is it? As the name suggests, Free Game Utopia is all about free games: free-to-play, fully free and liberated games. 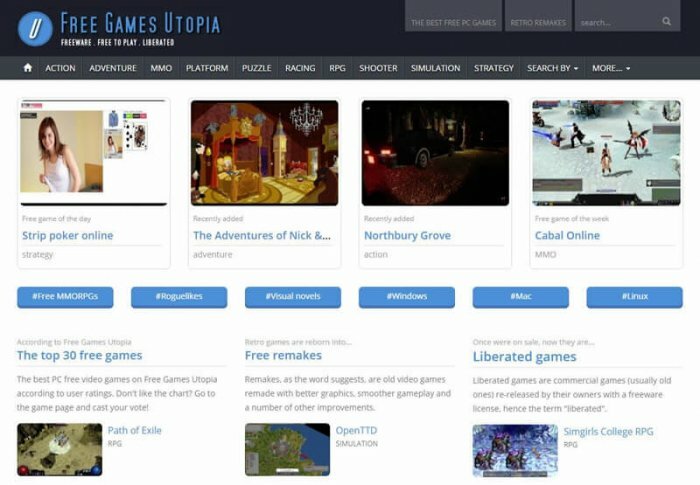 After a couple of years, Free Games Utopia changed, but the purpose of it is still the same: a database of free games. It's nowhere near perfection, I have many ideas and little time to add them to the site, so I try to focus on reviewing more and more games. It's incredible the amount of free games out there. Many games are low quality experiments, but there are more than a few that could stand beside big budget entertainment products.